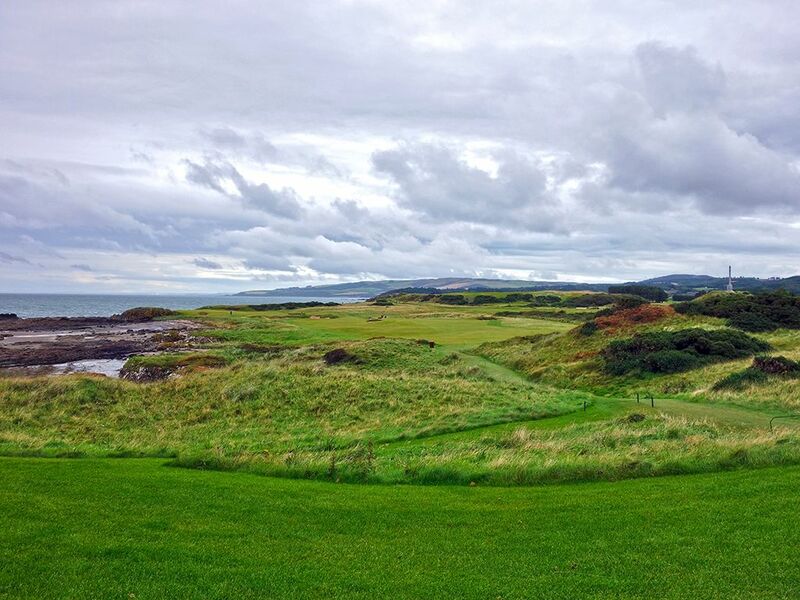 Course Website: Official Website - Visit Trump Turnberry (Ailsa)'s official website by clicking on the link provided. 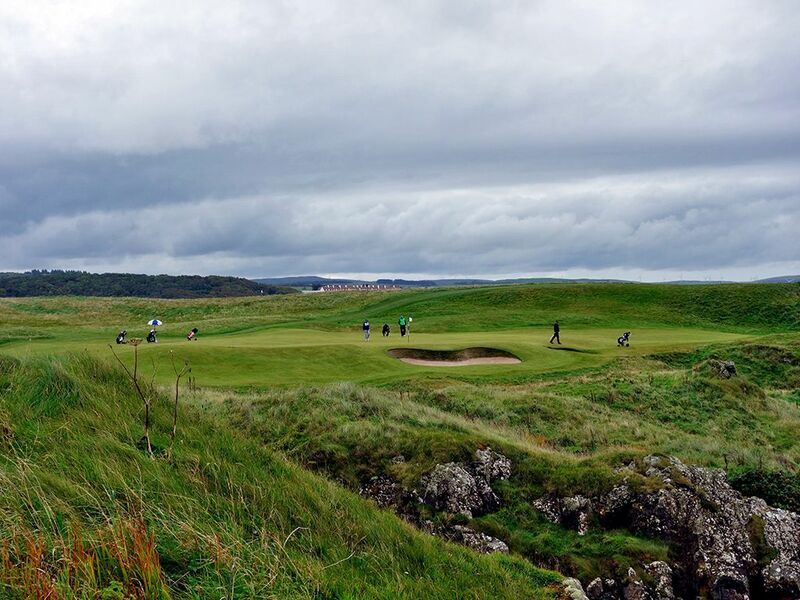 Accolades: Ranked 1st in Scotland by Golf Course Gurus. 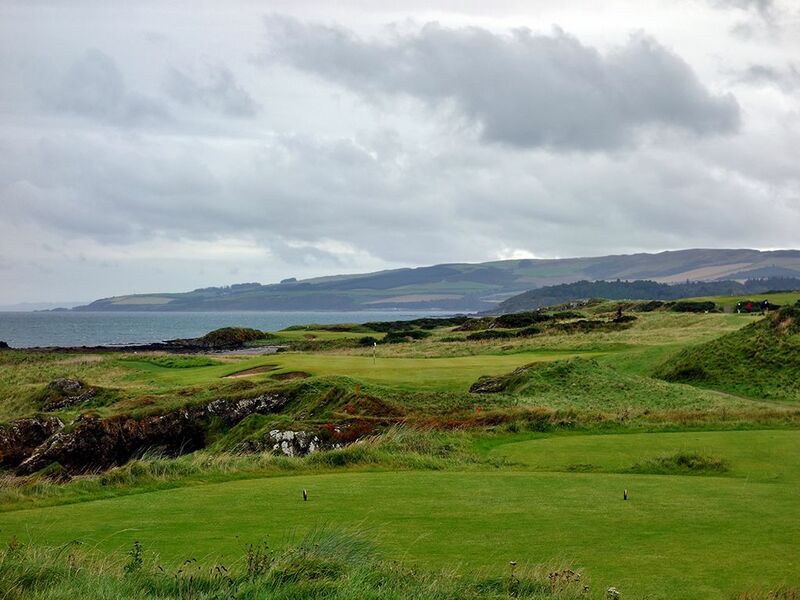 What to Expect: Without question, the Ailsa course at Turnberry deserves a seat at the table in the discussion about the best golf courses on the planet. A lot of courses that have hosted major championships are good tests of skill but lack the architectural character, unique features, or setting to transcend greatness beyond their hosting history. Turnberry blows up that stereotype with a course that is laid out on a gorgeous property with varied terrain and masterful hole designs. The walking only course offers caddies for hire or you can tote your bag around the property that features a beautiful blend of elevation changes on and around the sand dunes and along the rocky ocean cliffs. 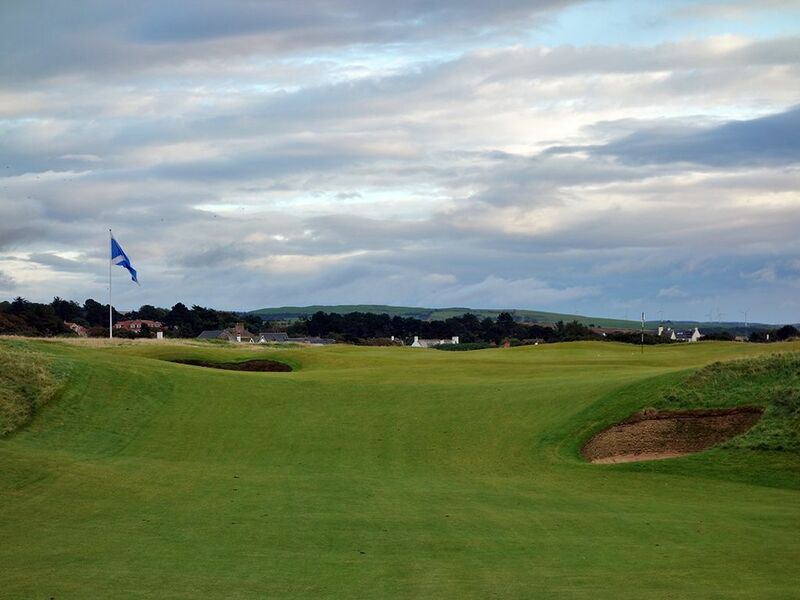 The course warms you up with the opening three holes before it launches into an incredible stretch of holes from #4 - #17, although #12 - #16 isn't as impressive as the others. The 12th hole features a monument dedicated to airmen that lost their life during the World Wars when that portion of the property was used as an airstrip for the Royal Air Force. The 9th and 11th holes rival Cypress Point for having two of the best par threes ever in such a short stretch while the 10th compliments that stretch as an absolutely fantastic par five. 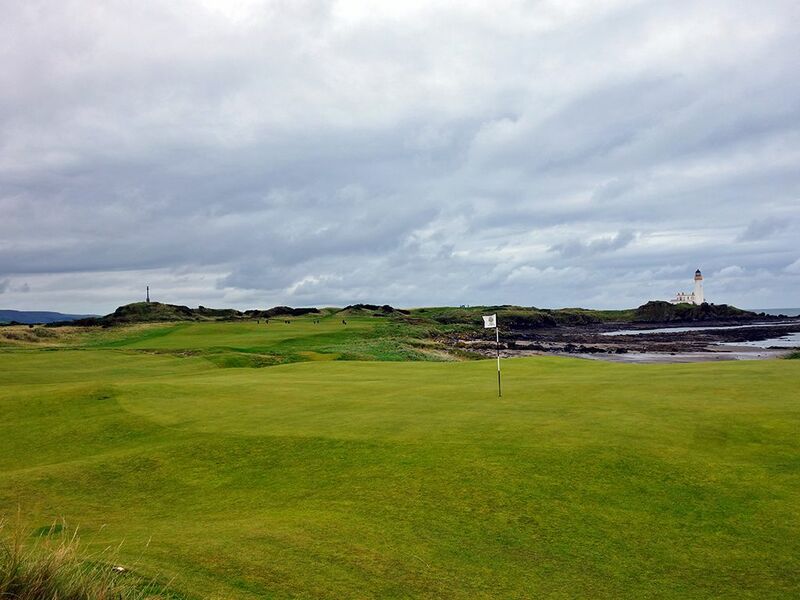 The iconic lighthouse found between the 9th and 10th holes boasts a halfway house for snacks as well as a pair of suites that can be rented by the night. 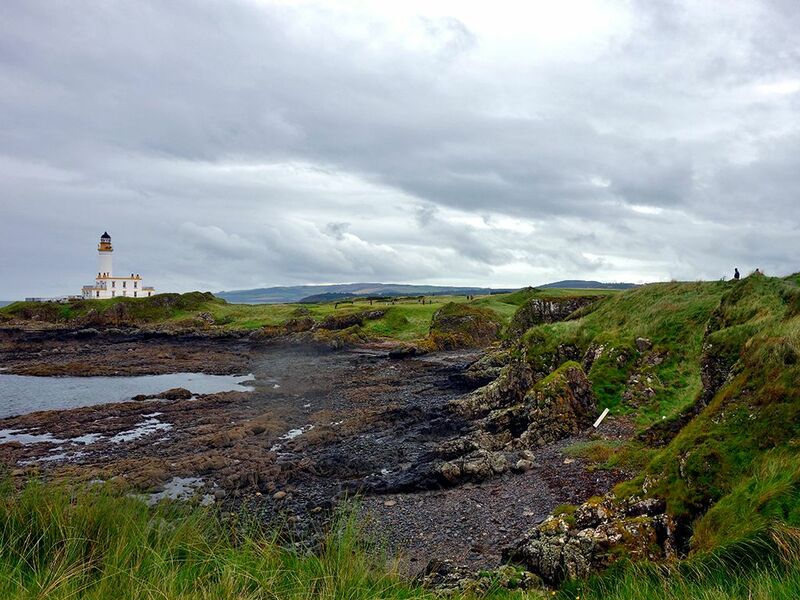 From a golfer's perspective, there are few places on the planet that are more gorgeous or iconic than the lighthouse location on Turnberry which would be a once in a lifetime experience to enjoy staying at. 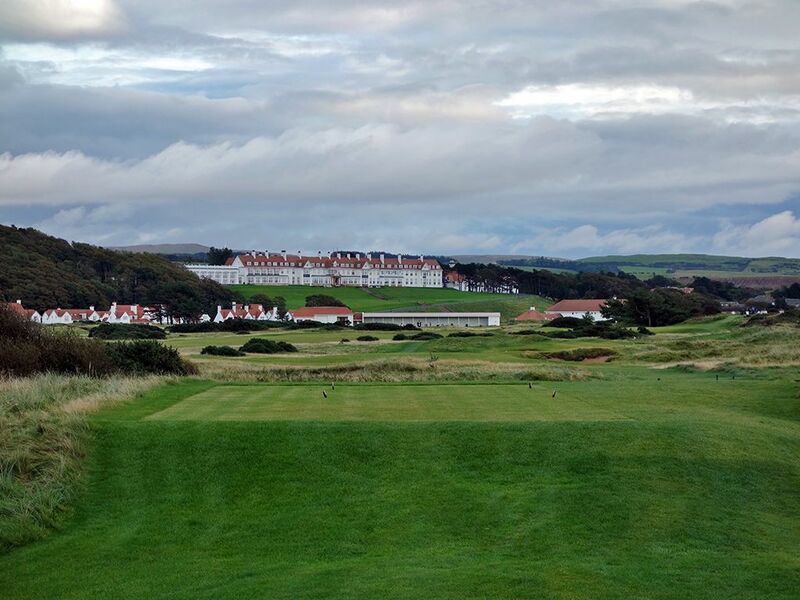 Perhaps the most famous round played at Turnberry was in 1977 when Tom Watson and Jack Nicklaus battled in the final round of the Open Championship. Watson shot a 65 to edge out Nicklaus by a single stroke in a battle dubbed the Duel in the Sun. At age 59, Watson nearly repeated as champion in 2009 but a bogey on the 72nd resulted in a four hole playoff that resulted in Stewart Cink being crowned champion. The course you play on today isn't the same the legends played on previously. The course went through an eight month renovation and reopened in 2016 with every hole changing; the biggest changes coming on the coastal holes to create some of the best par threes in the world. 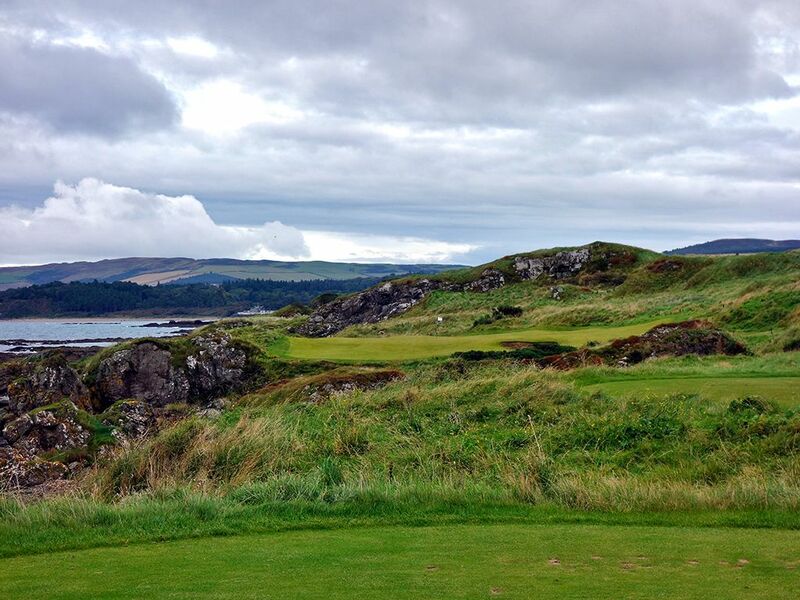 There are plenty of fantastic courses to tee it up on in Scotland but if I could only pick one to play the rest of my life it would be Turnberry's Ailsa course. Signature Hole: 9th Hole – 248 Yard Par 3 – Hands down, this is one of the best and most stunning golf holes in the world. Formerly the location of a par four, Ebert's remodel converted the property in the shadows of Turnberry's famous lighthouse into a par three that every avid golfer should have on their short list of holes they have to play. From the tips the hole plays over a rocky coastline and requires one of the most heroic carries you'll ever encounter enroute to the green. The forward tees work their way inland and require less carry over the ocean cove and over a larger bail out area to the right of the putting surface. This one-shotter truly features one of the most dramatic settings there is for a golf hole and became an instant masterpiece after Turnberry's remodel. The lighthouse that is converted to a halfway house and rentable suite is a unique touch that gives you a chance to sip down a hot chocolate or grab and snack while reflecting on how remarkable the 9th hole really is; I absolutely loved it. Best Par 3: 11th Hole – 215 Yards – Also a new hole resulting from Martin Ebert's remodel, the attractive 11th is akin to Cypress Point's 15th that compliments the all world 16th. Located along the rocky coastline that forms the left boundary, the 11th hole plays anywhere from 115 - 215 yards and features a series of rock outcroppings and a single bunker at the front right of the green. 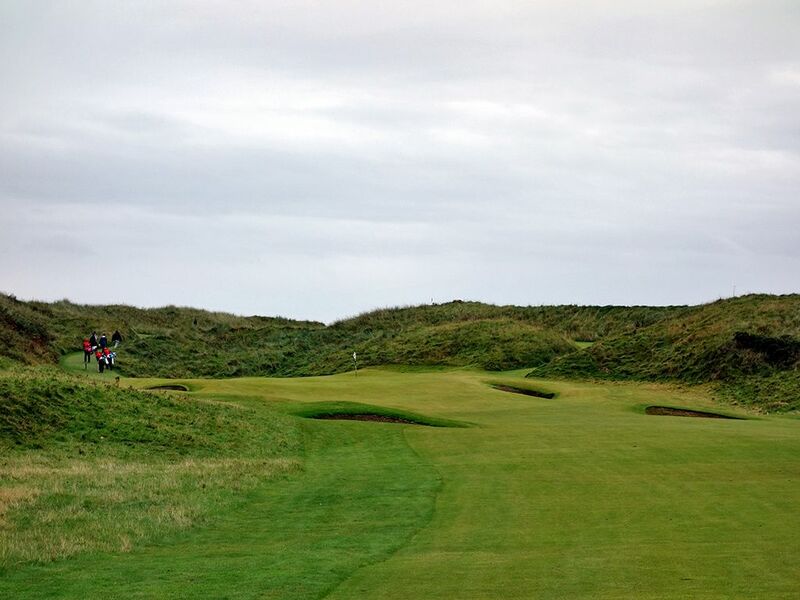 This hole concludes an eight hole stretch of holes bordering the coast and is without a doubt of the finest collection of holes you could ever have the opportunity to tee it up on. Best Par 4: 17th Hole – 509 Yards – Over 500 yards from the tips, this hole could have easily been featured as the Bogey Beware hole so you better be on your game. The bowled fairway will force balls to the right side of the short grass so it is best to aim up the left side which will also slightly shorten this hole that eventually bends to the left. After avoiding the fairway bunkers up the right side you'll be faced with a daunting approach shot to an elevated green that is front by a steep slope that is quick to repel weak approaches. With a pair of bunkers fronting the corners of the green and just 34 yards of depth to play with, your approach needs to be one of your best of the day to reach the putting surface in regulation. 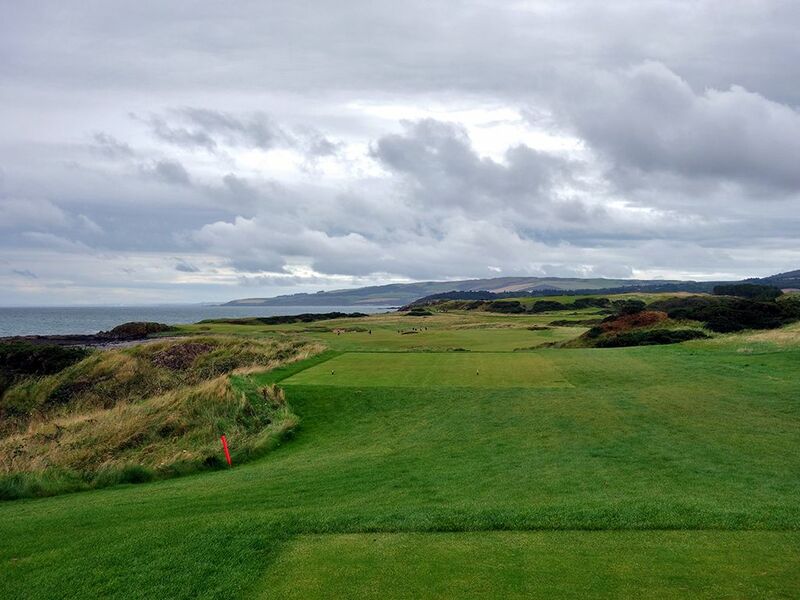 A better hole than the closer, the 17th is an impressive test down the stretch at Ailsa. Best Par 5: 10th Hole – 565 Yards – Formerly a par four, the 10th hole has been extending to a par five and is the best three-shotter on the course. 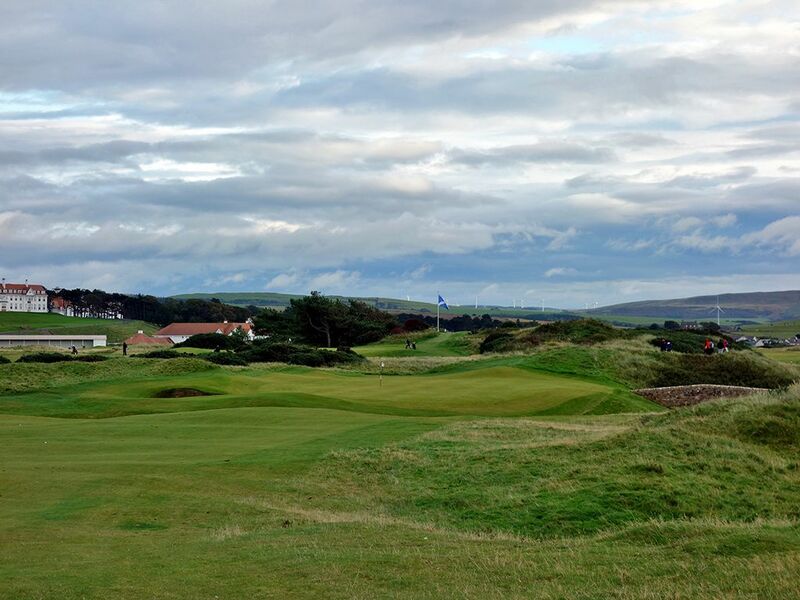 The opening shot plays from an elevated tee to a fairway that bends left along the coastline and produces a visually impressive setting with the ocean a hilly farmland in the distance. The center fairway bunker, or just right of it, is a great line to take off the tee and sets up for a great angle into the green that is fronted 100 yards out by the infamous doughnut bunker that can wreak havoc with a careless layup shot. 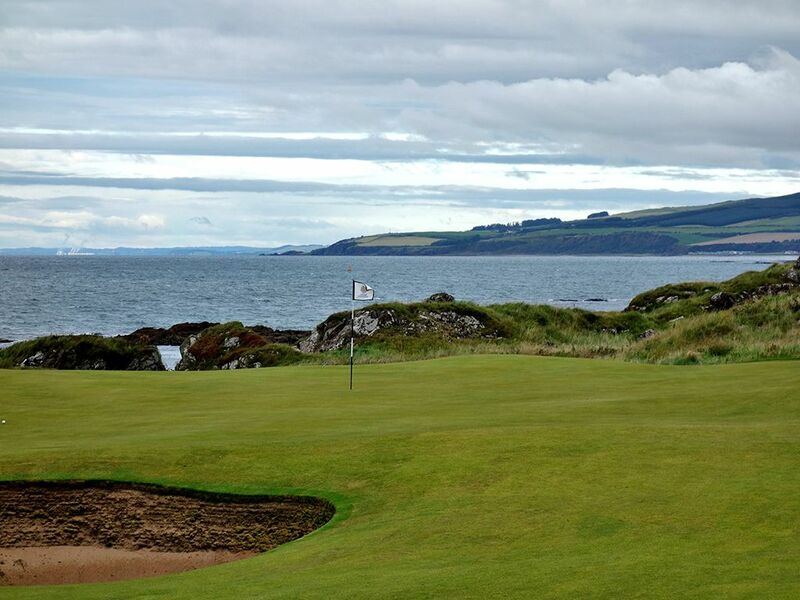 The green is perched out at the edge of the coastline and sets itself up for a beautiful approach shot location where the Firth of Clyde lies in wait for a ball that gets bladed over the back. Holes 9 - 11 are so good it is borderline ridiculous. Birdie Time: 5th Hole – 531 Yard Par 5 – The shortest of the par fives, the 5th hole at Turnberry is the first long hole along the coastline and sets itself up for a scoring opportunity. When I stood on the tee I felt like I was at Ballyneal; Tom Doak's links course routed through the choppy sand dunes of northeast Colorado. 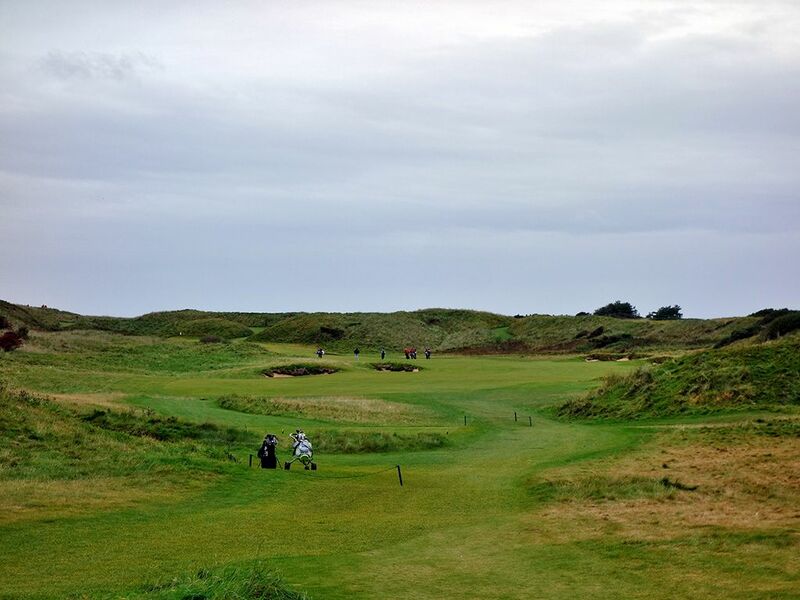 The fairway carves seamlessly through the valley formed by the surrounding dunes and terminates at a green site formed by an amphitheater of dunes land. Reaching this green in two is doable but you'll have to navigate ten bunkers along the way to get there safely. A tee shot to the right half of the fairway will set up the best angle to the green and offer an alley through the six bunkers within 75 yards of the green. With the prevailing winds at your back, take advantage of this short par five and throw an early birdie on your scorecard. 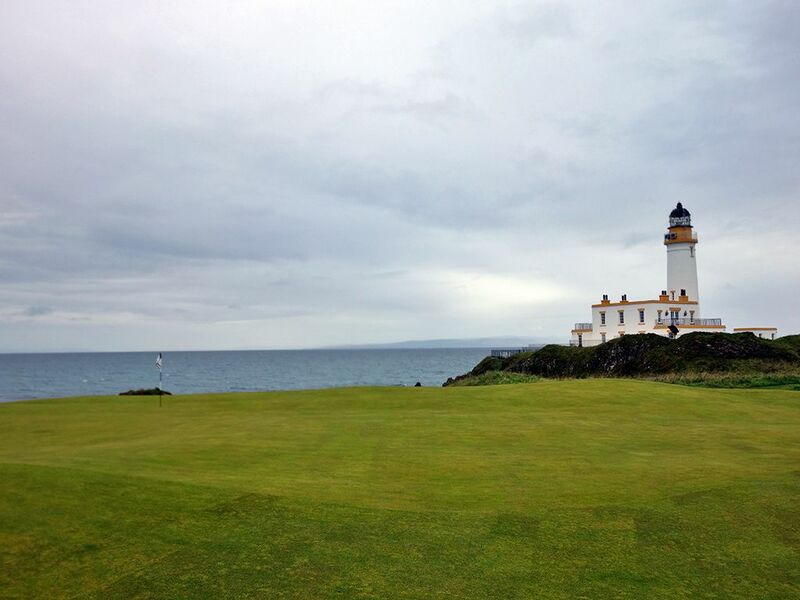 Bogey Beware: 16th Hole – 479 Yard Par 4 – Like so many championship courses of quality, the finishing stretch of holes can be the most testing on the course and that is exactly what you'll find at Turnberry's Ailsa course. The landing area off the tee is partially blocked from the back tee with a fairway bunker sitting on the right less than 300 yards away and protects the corner of the fairway bend. 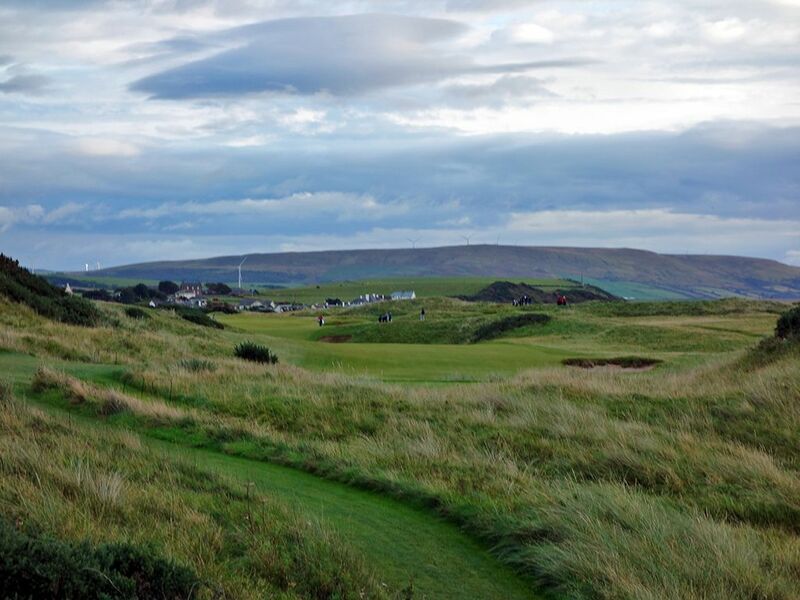 If you successfully find the fairway you will be faced with the most intimidating approach shot on the course with Wilson's Burn fronting the green and wrapping around the right side. With a pot bunker protecting the front left side and gnarly grass to the rear, there is nowhere to hide or bail out to. Only a top shelf approach shot will get the job done here. 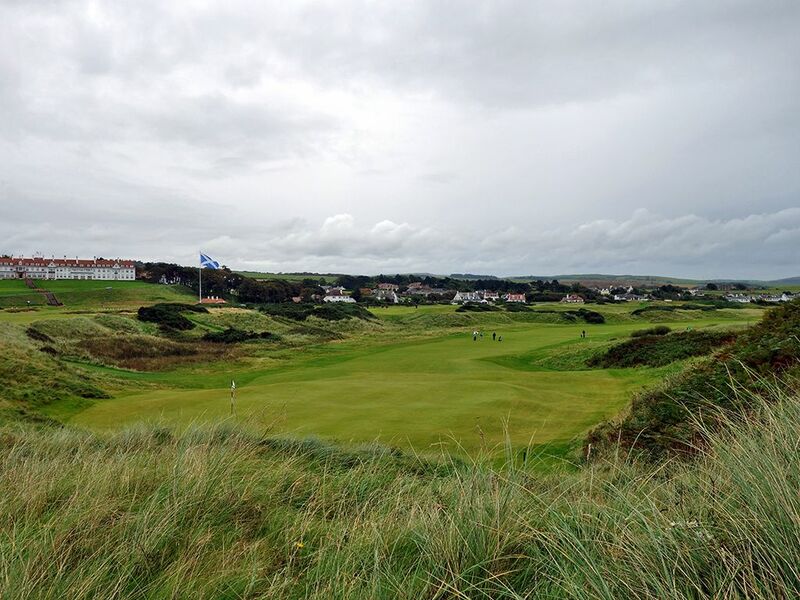 During the 2009 Open championship this hole significantly more double bogies and "others" than any other over the course of the tournament. Wisdom certainly prevails over valor when challenging this hole.